Hurricanes made a stunning comeback as they went on to draw the Super Rugby game against Chiefs 23-23 at FMG Stadium Waikato on Friday. The result means Chiefs are without a win after playing five games while Hurricanes are at the second place with 15 points. The Chiefs got off to a flying start when Anton Lienert-Brown charged down a clearance kick from Chase Tiatia to dot down in the second minute for the opening try and Damian McKenzie followed with the conversion to make it 7-0. 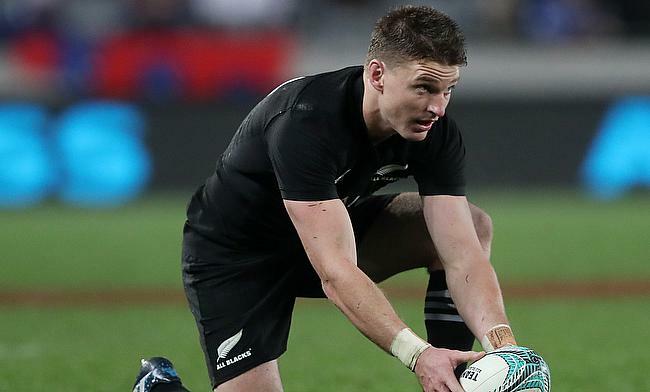 Beauden Barrett led Hurricanes' response with an eighth-minute penalty goal and by the 15th minute Matty Proctor grabbed a well-timed kick from the fly-half to cross over as they stretched the lead to 7-10. The momentum once again swung towards chiefs when Brad Weber set McKenzie for a converted try before Jordie Barrett slotted a penalty goal in the 27th minute to make it 14-13. McKenzie stretched the home side's lead to seven points with back to back penalties before the break. Barrett narrowed down the gap to four points with a three-pointer early in the second half and by the 51st minute it was Wes Goosen's turn to touchdown and with Barrett converting it the scoreline became 20-23 before McKenzie kicked another three-pointer before the end of the third quarter to level the scores 23-23. Both the sides tried to push hard but with defence holding key the game finished in a draw.